You can now choose which notifications you would like to receive from us. We recommend checking the boxes for all maintenance-related categories. 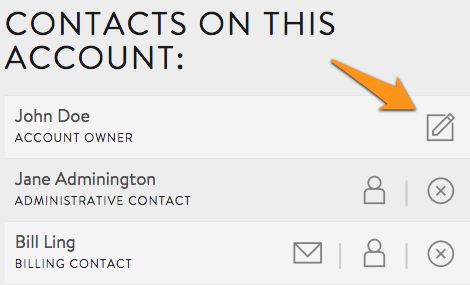 Click on Contacts to continue. Scroll down to the Contacts list. Click on the edit icon to the right of your name. 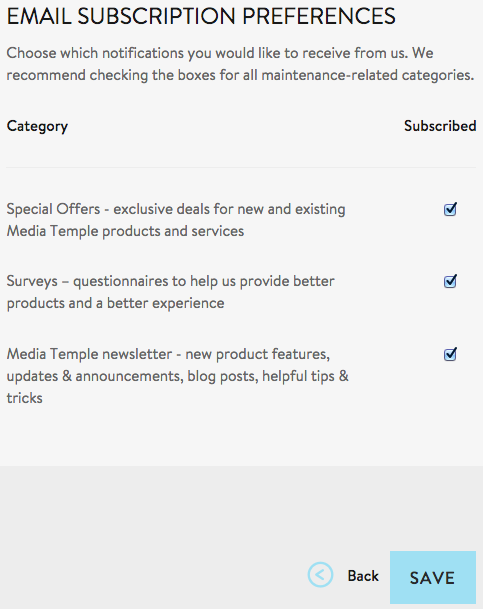 Scroll down the page to Email Subscription Preferences and check the boxes as necessary. Click save and you're done! You can return to this page of your AccountCenter at any time to change your email subscription preferences. Click the "unsubscribe" link in the email you received. You will receive an email with a link to complete the process. Select which notification you would like to receive; un-check the ones you no longer want. Click the Save button to save your choices.